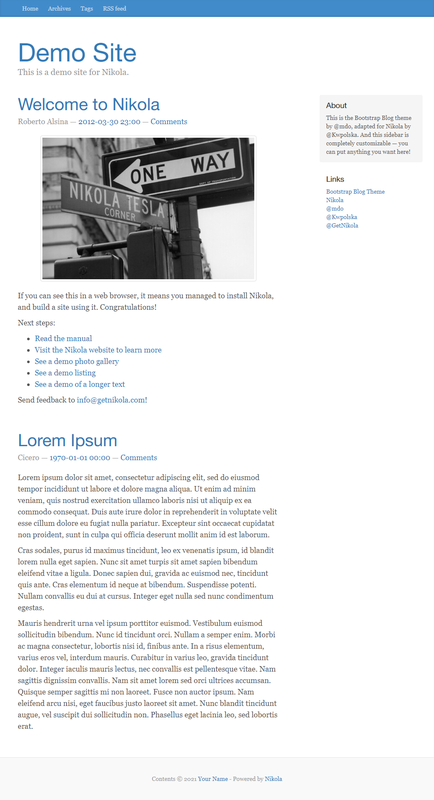 This is the Bootstrap 3 Blog theme, adapted for Nikola. Some things require additional configuration (eg. the sidebar and the navbar). Note that some things had to be substantially changed for this theme — for example, menus are not <ul> anymore and don’t support right-aligned items. <p>This is the Bootstrap Blog theme by @mdo, adapted for Nikola by @Kwpolska.